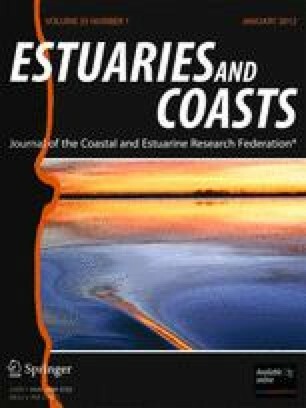 This study investigates the relations between watershed precipitation, upstream channel slope, and the geomorphology of 19 small (40 to 18,658 m2), fluvial-incised lagoons in the actively uplifting piedmont near Santa Barbara, CA. Lagoons in the study are funnel-shaped, shallow (<2 m), river-dominated, and enclosed by a sandy to cobble-sized beach barrier for much of the year. Results indicate a strong link between watershed processes and lagoon geomorphology, such that a significant portion of the variability in lagoon area, length, volume, average width, circularity, and lagoon width expansion can be explained by the variability of watershed precipitation and channel slope upstream of the lagoons. Performing multiple regression analysis with watershed precipitation and channel slope as independent variables, coefficients of determination for the power function regressions are 0.88 (lagoon area), 0.88 (lagoon volume), 0.83 (lagoon volume), and 0.74 (average width). Upstream slope is the best single predictor of lagoon geomorphology.